Head over to get a pair of these Pinhole Fashion Loafers for ONLY $19.99 (Retail $49.99)! 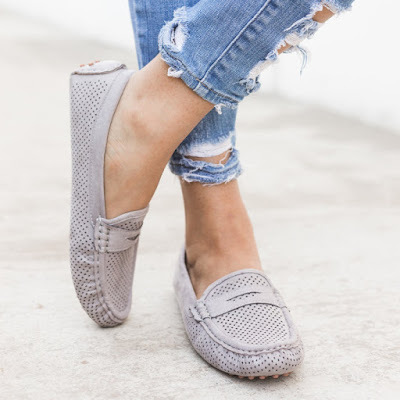 Be comfy and cute in these pinhole style fashion moccasins that are uniquely designed with a driving shoe sole feature that is great for extra grip support! This slip-on style is made with faux suede material and has a cushioned insole, perfect for casual wear.